Yes, although additional fees may apply for areas farther out. Remember, prices do not include sales tax. Click products> delivery rates and find your city. 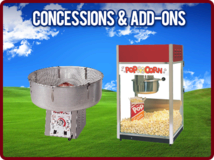 Yes, we offer FREE delivery, set up and take down to the entire Twin Cities Metro Area and the St.Cloud Metro Area. 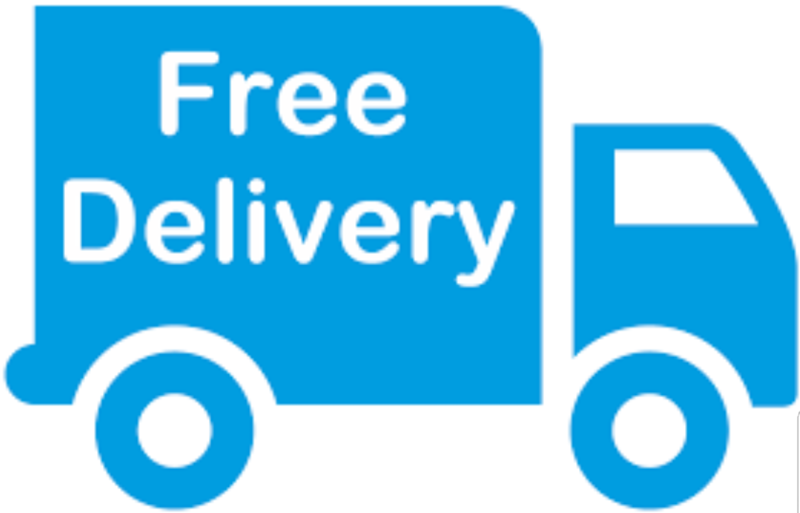 See our delivery areas page for details or call for a free quote. For residential deliveries we usually delivery the day prior to your event and pick up the day after. 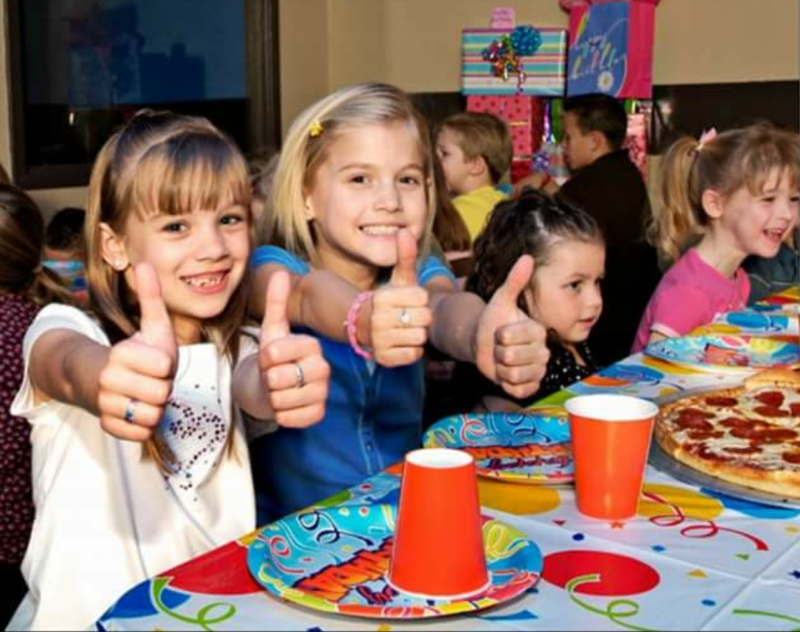 Example: If your party is on Saturday we will deliver Friday at our convenience and pick up Sunday at our Convenience. Our rentals are one calendar day and not a 24 hour period. So if you choose 9am-8pm Saturday we will automatically change delivery for Friday at our convenience and pick up on Sunday at our convenience. If you will not be home for delivery sign our E-Contract in your confirmation email and put a note on your front door where you would like the inflatable placed. No. The jump should be clean when you get it. Jump City cleans and disinfects after every rental. Debit Cards, check cards, credit card (Visa, Master Card Discover and American Express), checks from business, schools or churches are accepted. No personal checks. Yes all orders require a $100 Credit Card deposit. If you would like to cancel your deposit will be a credit with us for 1 year. No refunds are given. If you would like to cancel within 24 hours of your delivery time your deposit will be forfeited as no refunds or credits will be given. Do you offer extended rental rate discount for rentals? Yes, for all rental equipment it is 50% off for your 2nd day rental. Yes, the contract can be E-Signed as a convenience. Please sign this prior to your delivery as it will make delivery go smoother. Jump City will set up on most surfaces. Setting up in grass is preferred and free of charge. Setting up on pavement, concrete, turf or indoor requires additional set up items as in sandbags, tarps etc. These charged will be added when you choose your surface setup option. We will never set up on sand, rock or gravel for any reason. What if I will not be home for delivery? No need to worry! Just E-Sign our rental agreement on your confirmation email. 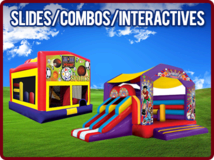 We may delivery the day prior to your event so leave a note on the front door with directions of where you would like the inflatable placed. 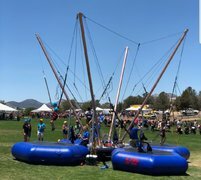 An extra fee may be charged to come back and move the inflatable. Do you offer extended rental rate discounts? How long is your residential delivery? The rental is NOT for a 24 hour period like from 12:00pm Friday through 12:00pm Saturday - it is for the calendar day and will be delivered at our convenience on the day before and picked up at our convenience the day after your event. 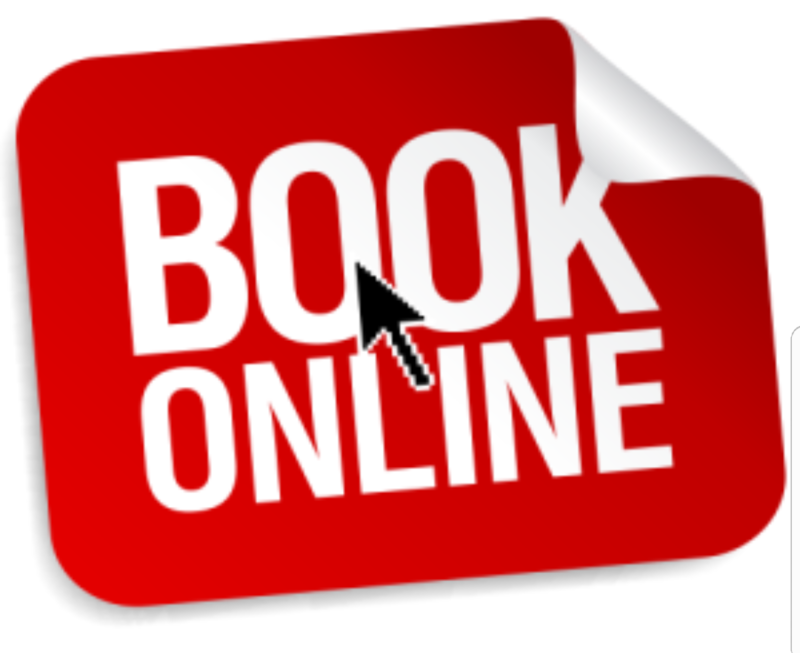 If ordering online select the date of your event and enter 9:00am - 8:00pm and we will automatically change it to delivery the day before and pick up the day after your event. There is no discounted rate for a shorter reservation like a 2 hour event., the full day price still applies. Can I pick up the bounce house myself? No - Trained team members need to deliver and pick up the inflatable as these units can weigh hundreds of pounds and need to be secure to the ground properly. 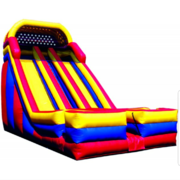 Can you set up my bounce house on my driveway? Note - An additional sandbag fee applies for setup on driveways. 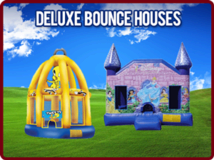 This fee varies on the type of inflatable you choose. 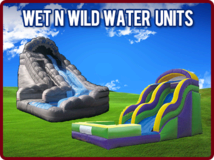 Water inflatables must be placed in grass only. Driveways must be concrete or asphalt. 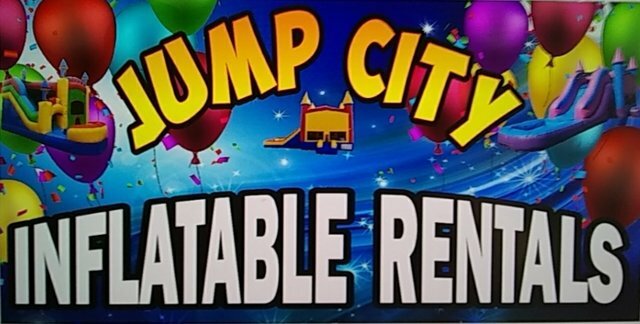 Jump City will not set up on sand, gravel, or rock. 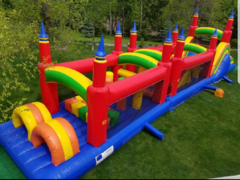 No - During delivery, the Jump City team will check with you before installing the Inflatable Jumper and even move it to your liking. Note - The customer is NOT ALLOWED to move it at any point. What if the unit gets damaged? The customer is held liable for any and all damage to the equipment other than the normal wear and tear. Customer is not liable for previously damaged or faulty equipment. During checkout you are asked if you would like a additional insurance policy for 10% of your total rental costs which will cover any accidental damage except ripped seams from overloaded units. If the park or business wants an additional insurance certificate can you provide this? Yes. Jump City carries a Liability policy. 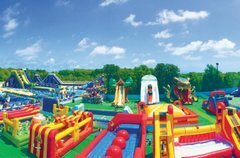 Jump City will not be responsible for any acts of negligence on the part of the customer, their representatives or guests. 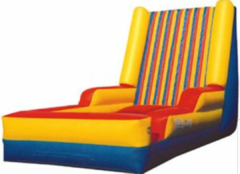 We require that you monitor and provide your own attendant for the Inflatable at all times. Jump City offers staffing at $25.00 per hour minimum 4 hours. We are fully insured and are occasionally asked to additionally insure parks, churches or businesses. The fee for an additionally insured certificate is $75.00 per certificate we need at least 3 days notice prior to the event to provide the group with a certificate. Can we tape signs onto the unit? Absolutely not! As the residue it leaves behind is very hard to clean off it is not allowed. 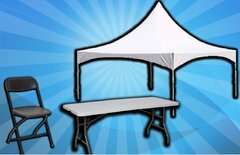 You may put signs up next to the inflatable on a chair or in the ground. The customer will be charged up to a $100 cleaning fee if this has been used. Can Jump City provide staff at my event? Yes, we can run your whole event. Staffing is $25 per hour per attendant with a minimum of 4 hours. Should I tip Jump City Employees? Tipping is very much appreciated but not required. Adding a tip to your invoice when ordering will then be shared with all Jump City employees that do there best to make sure your event goes smoothly, not only your delivery crew. You will have up to 24 hours after your delivery to call and change your tip amount.